우울증, 신경과민, 불안증, 불면증을 다스립니다. 마음을 평온케 하며 여성의 갱년기 증상에도 도움을 줍니다. 자귀나무는 부부의 금슬을 상징하는 나무로 합환수(合歡樹) ·합혼수·야합수·유정수라고도 합니다. 옛 선조때부터 사용되어진 나무로 동서양을 막론하고 가정의 행복을 기원하는 의미로 심어왔습니다. 건조한 것으로, 여름에서 가을에 나무껍질을 벗겨 서건(晒乾: 서늘한 곳에서 말림) 합니다. Wash 20g of herbs on running water; boil for over 2 hours depending on symptom in 2L of water. 자귀나무의 효능으로는 가장 검증이 된 것은 우울증과 불면증 등 심신을 안정시키는 치료제 역할입니다. 마음을 안정시키고, 가슴이 두근거리는 불안증세와 과민증세, 신경쇠약에 탁월한 효능이 있다고 알려져 있습니다. 자귀나무 껍질의 배당체 성분인 알비토신은 퇴신작용이 있어, 예전에는 임산부의 출산을 돕는 용도로 사용되었습니다. 자귀나무의 폴리페놀 성분은 피부를 아름답게 가꾸어준다고 합니다. 근골통, 골절 등 뼈질환에 좋다고 알려져 있습니다. The stem bark has been used as a sedative for hundreds of years as recorded in the Pharmacopeia of the People's Republic of China 2 , 8 , 9 and as an anti-inflammatory agent for swelling and pain in the lungs and to treat skin ulcers, wounds, bruises, abscesses, boils, hemorrhoids, and fractures, as well as to remove carbuncles. The dried stem bark is used as a tonic in China and Japan. 10 Indigenous people living in the southern mountainous region of Korea prepare the root as an infusion for bone diseases. 11 In India, a chloroform and methanol seed extract has been used to treat bronchitis, asthma, leprosy, and glands infected by tuberculous. 12 A bark extract to treat insomnia, diuresis, asthenia, and confusion has been used in Asia. 2 The plant's flowers have been used to treat symptoms associated with palpitations, anxiety, depression, and insomnia. The seed oil is a source of food for livestock and wildlife. The proteolytic enzymes in the seeds may also reduce bitterness in some cheeses. Mimosa may be used commercially as a promising seed oil crop for making soap, hair shampoo, and ultraviolet protectors in cosmetics, and in nutritional products due to its high level of polyunsaturated fatty acids. 흐르는 물에 약재를 씻은 후 생수에 30분정도 불려줍니다. 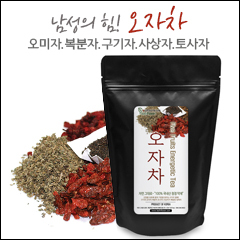 생수와 건약초의 비율은 100g:3L를 권장합니다. 끓이시는 용기는 유리,도자기,스테인 주전자가 좋습니다. 단단한 약재를 차로 드실 경우 30분-1시간, 잎의 경우는 10-15분 정도 끓이시면 됩니다. 약재로 드실경우 중불로 시작하여 1시간, 약불로 1시간 이상을 천천히 다려주세요. 냉장보관 하시고 드실 때 소량씩 데워드시면 됩니다. 여러 약초를 같이 넣고 끓이실 경우 대추와 생강 등을 넣으시면 약초를 중화시켜 줍니다. 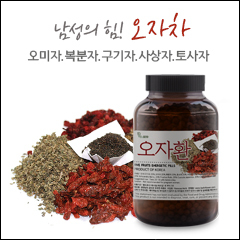 달인물을 차게, 혹은 데워서 식사 전 후에 관계없이 100ml 씩 하루 3번 마십니다. >> 자귀나무를 장기복용 하실경우 꼭 한의사와 상담하세요. 임산부의 경우에도 권하지 않으니 주의를 요합니다. 특정 식물, 허브 및 기타 천연 제품으로 인한 과민반응이 있을 수 있으므로 복용 전 한의학 전문의와 상담 하시길 권해 드립니다. [한국산] 합환피 (자귀나무) 5 out of 1 5 based on 1 ratings. 1 user reviews.